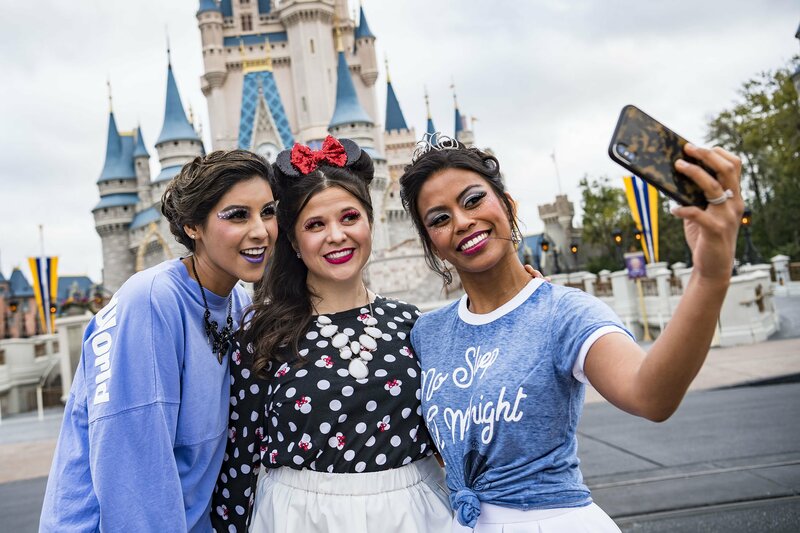 LAKE BUENA VISTA, Fla. – From Ursula and Bambi to Cinderella and Minnie Mouse, guests are now indulging in an array of custom character-inspired makeovers at salons across Walt Disney World Resort. Disney’s new Character Couture packages offer sophisticated hairstyles, as well as detailed makeup and nail designs inspired by Disney characters. Whatever look guests choose, they get to step into the stories of their favorite characters with these transformative makeovers. That starts with choosing from three makeover options. Storybook Style features a character-inspired hairstyle, including fancy up-do. Magical Makeover compliments the hairstyle with intricate makeup. Rounding out the options, the Timeless Transformation includes hairstyle, makeup and nails. Services are available at salons at select Walt Disney World Resort hotels including Ivy Trellis at Disney’s Grand Floridian Resort & Spa, La Vida Salon at Disney’s Coronado Springs Resort, and Salon by the Springs at Disney’s Wilderness Lodge. Experiencing a Character Couture makeover can be a fun day out for best friends, a great way to get dolled up before a birthday or anniversary celebration, or a unique way to express a guest’s individual style while on vacation. Whether at one of Disney’s signature spas or full-service salons, Character Couture packages are just some of the pampering options available. Other services include manicures, pedicures, massages, facials and more. Appointments are strongly recommended. To make a reservation, guests can call (407) WDW-SPAS, or (407) 939-7727.